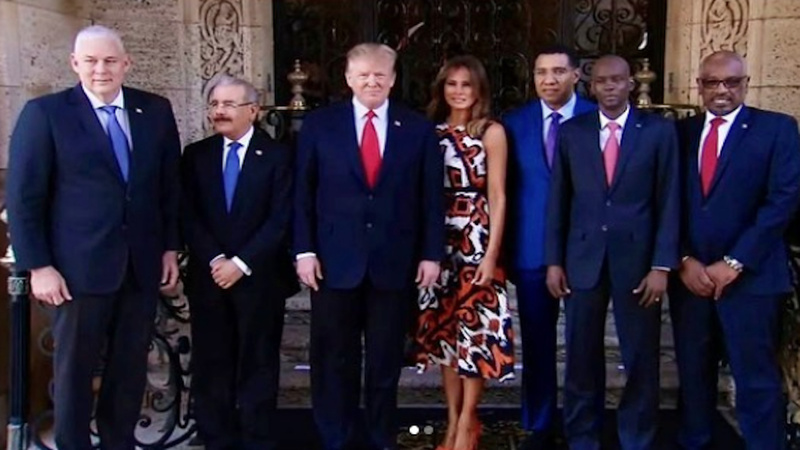 US President Donald Trump and his wife Melania (centre) with Caribbean leaders including Jamaican Prime Minister Andrew Holness on Friday at Mar-A-Lago. 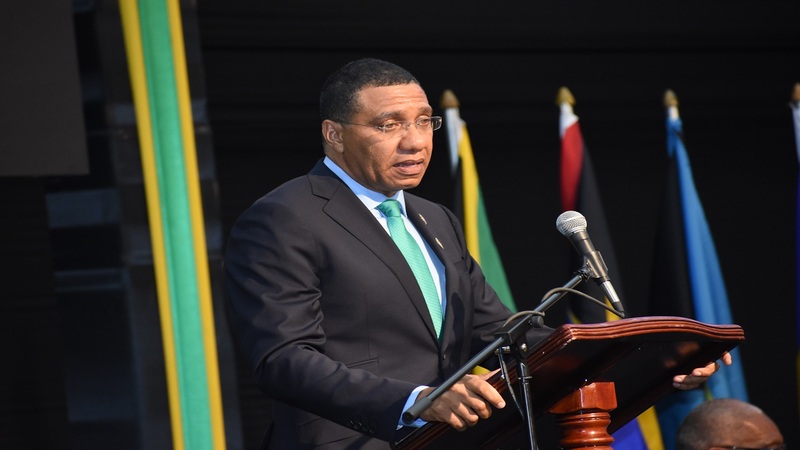 Prime Minister Andrew Holness has described Friday's first meeting between Caribbean leaders and US President Donald Trump as "promising". Trump hosted Holness as well as the leaders of Bahamas, Haiti, Dominican Republic and St Lucia at Mar-A Lago in Florida on Friday. 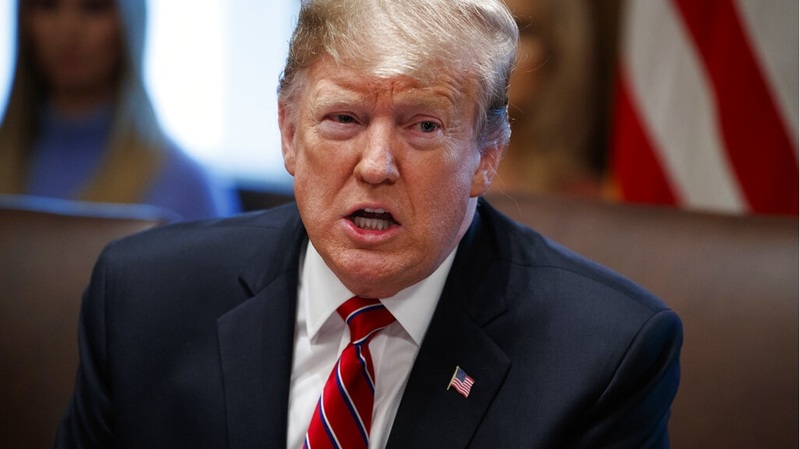 The meeting was reportedly organised by the US president to show his support for Caribbean countries that back democratic transition in Venezuela - the five countries having either denounced Nicolas Maduro or joined more than 50 countries in recognising Juan Guaido as the rightful interim leader of the nation. Holness wrote on his social media page that the first meeting with Trump "was promising as we anticipate further discussions on Energy, Trade, Security and issues to do with peace and stability within the region." 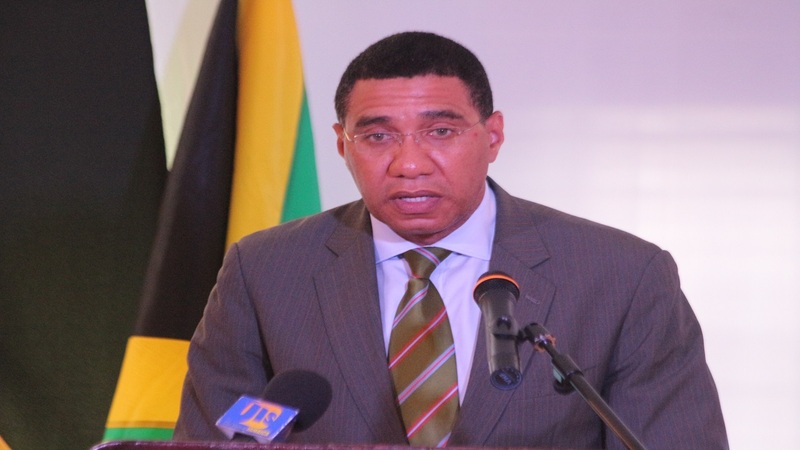 The Jamaican prime minister, according to the Associated Press, also said that at their meeting with Trump he learned that a representative from the Overseas Private Investment Corporation, a US government agency that helps American businesses invest in emerging markets, would be visiting the region and the five countries. "We're very happy with that message. We feel that that is a message that is long-in-coming, but we're also satisfied that it's not just a message. We're satisfied that there will be instrumental action." The Trump administration considers Maduro's government a dictatorship and says he was re-elected in an illegitimate election. The US has sanctioned scores of top Venezuelan officials and has blocked US banks from doing business with Venezuela, putting a financial stranglehold on the cash-strapped country. The country is in an economic meltdown and millions of Venezuelans have fled. St Lucia Prime Minister Allen Michael Chastanet said it's been since the Reagan administration that the US has taken an interest in the Caribbean and acknowledged that Trump's invitation was likely due to their support of the US.stance against Venezuela at the Organization of American States. He also acknowledged that not all countries in the region agree with the US call for Maduro's ouster.